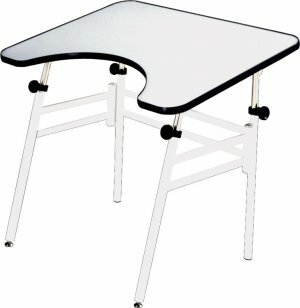 These Reflex Wheelchair Tables offer a comfortable, height-adjustable and angle-adjustable worksurface to accommodate students and staff in wheelchairs. Folds easily for storage when not in use. Angle adjusts from 0 to 45 degrees. Wheelchair inside clearance of 28 1/2". Top color: Gray with Black edge banding. 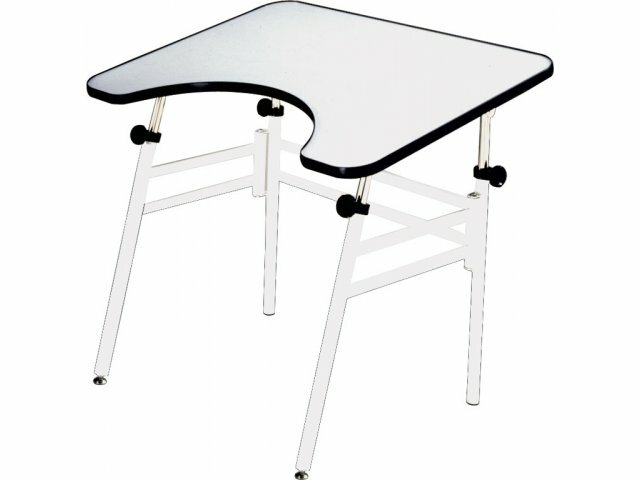 Made from heavy-duty, 18-gauge steel with a powder coated finish, and a 30"D x 40"W x 3/4" thick desktop with a special cutout for easy accessibility. A 1/4" raised edge around the desk keeps papers and accessories from sliding off.